One of the music industry’s longest-running rumors has finally been put to bed: Troy Carter, Spotify’s Global Head of Creator Services, will be leaving the company in early September. Spotify has confirmed the news to MBW in the past few minutes. We understand that, following his exit, Carter will remain an advisor to Spotify. We also understand that Spotify now plans to merge its Creator Services division with its in-house Shows & Editorial team. This newly-combined division will be led by current Global Head of Shows & Editorial, Nick Holmstén. Carter joined Spotify two years ago, with a brief to improve the service’s reputation amongst artists and songwriters. 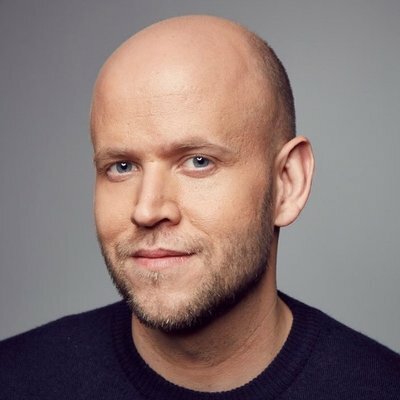 Spotify co-founder, CEO and Chairman, Daniel Ek, said: “By all measures, Troy has made a tremendous impact at Spotify. When he joined our team, there was skepticism from the artist community on streaming overall. Troy has been instrumental in changing that perception and his efforts to establish true partnerships across the industry will be felt for years to come. Troy Carter: “I came to this company to help bridge the gap between Spotify and the creative community. Over time, that goal evolved from fixing a challenge to building a global team focused on changing the game for artists around the world, partnering with them to help bring their creative visions to life in new and innovative ways. Atom Factory founder Carter is the former manager of Lady Gaga, and has also managed the likes of Eve, Lindsey Sterling, Charlie Puth John Legend and Meghan Trainor. His departure follows the recent exit of other senior executives at Spotify including International Shows & Editorial boss George Ergatoudis, plus senior marketing and comms exec Angela Watts, Global Head of Artist & Label Marketing, Dave Rocco and Global Head of Artist & Industry Partnerships Mark Williamson. The firm recently promoted Marian Dicus to the position of Global Head of Artist & Label Marketing, and hired the former President of Condé Nast Entertainment (CNE), Dawn Ostroff, as Chief Content Officer. Other major moves in recent weeks have included the promotion of Tom Connaughton to Managing Director of the UK, as well as the elevation of Austin Daboh to Head of Shows & Editorial for the UK.